New possibilities are emerging for real strength and forward momentum in the Vineyard in Canada! We are initiating a "Foundations Team" to increase organizational health and to better enable David & Anita Ruis' leadership as our National Directors. The "Foundations Team" will be made up of some of our seasoned Vineyard leaders. Watch the 3 minute video below to hear our vision for the Foundations Team and what the National Board is using as a tool to help fundraise through connection with business leaders and other individuals that value this initiative. Collectively the Foundations Team roles add up to one full time role. We are taking steps to have a step by step launch to these part time roles as funding is added. Administration & Communications Coordinator (Tina-Marie Axenty) was launched on February 15 into this role. National Leadership Development & Community Health Coordinator (Todd Rutkowski) was launched into this role on March 1. 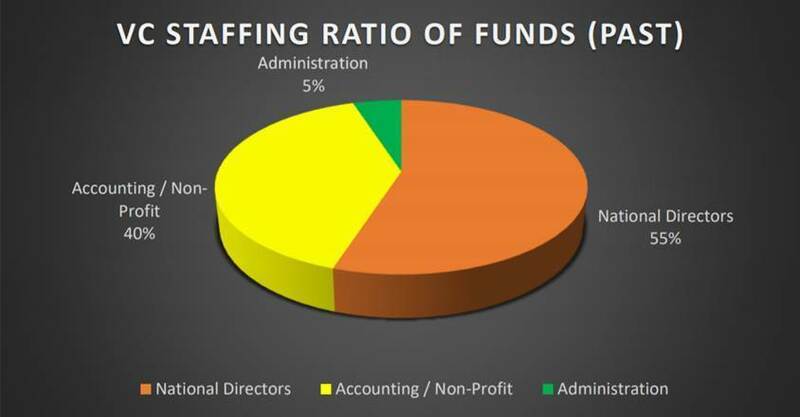 Note: The VC staffing roles below also include Payroll/Accounting and IT. Quote from: David Ruis Since the "think tank" in September, 2018, the recommendation of that group, the BOD, and other members of the NT is that we find a way forward in regards to administration and systems that is more "team driven" alongside Anita and I. We had employed for a short season someone in the role of "National Coordinator" which was a short lived position for various reasons. Rather than just hiring someone to fill that role, we see a team approach vs. an individual hire as our next step. The caveat however, is that to see this truly be effective at all levels of accountability, implementation, and efficiency, we are being advised that it not be only volunteer based. Even with some of the big challenges we've had this year, morale is high and people are engaged nationally. We are seeing '19 as a year of consolidation as we lean forward. It is important that our "middle management", i.e. Regional Team Leaders and Catalysts, are functioning well and the right people are in the right places. 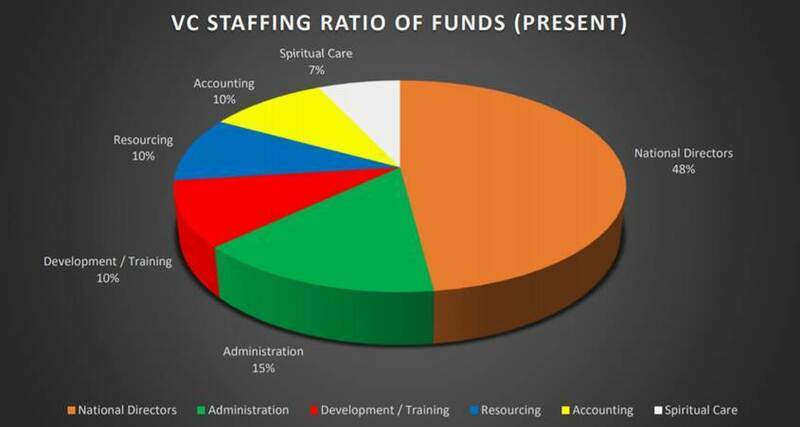 Also, coaching, crisis management, and consultation for our local churches needs significant shoring up. In order to be healthy and effective at this level of care it is critical that the ND's have assistance. We've got to make changes now so we don't get buried, and assure that we'll have healthier infrastructure that will sustain us in the years to come far beyond Anita's and my ND tenure. We cannot accomplish this without strong administration and foundations. A team like this will also help us keep pace with the momentum we have gained over the last four years, without overreaching or stretching ourselves. Without a more robust administrative strategy things will begin to drift backwards. Excited by this? Want to help? Please feel free to share this information with anyone you know that might want to support VC in this way. Click here to find more info on Foundations Team.